West Nashville offers residents the ideal lifestyle. In your neighborhood, you’ll find local watering holes, interesting restaurants, shopping, entertainment, and recreation. Go for a run at nearby Boyd Park, which features running and walking trails. Cheer on the Tennessee Titans at Nissan Stadium or meet friends there to tailgate outside the gates. When it comes to dining, you’ll appreciate the global landscape of cuisine before you. Craft beer enthusiasts love being close to Fat Bottom Brewing Co. and M.L.Rose Craft Beer & Burgers. Trying to impress your partner on date night? Head down to Coco’s Italian Market for an unforgettable, romantic meal for two. Whitt’s Barbecue offers area residents and visitors the chance to enjoy great Tennessee BBQ. No matter what you’re craving, you’ll find it within minutes of Village West Apartments in West Nashville. Our neighborhood offers fun and excitement as well as a wealth of employment and educational opportunities. Major employers include Tennessee State University, Fisk University, Meharry Medical College, Vanderbilt University Medical Center, Xfinity, TennCare, and Child Support Enforcement. Further your education and create the foundation for a brighter future when you attend one of the many colleges nearby. Get to know the neighborhood and how good life can be in West Nashville. 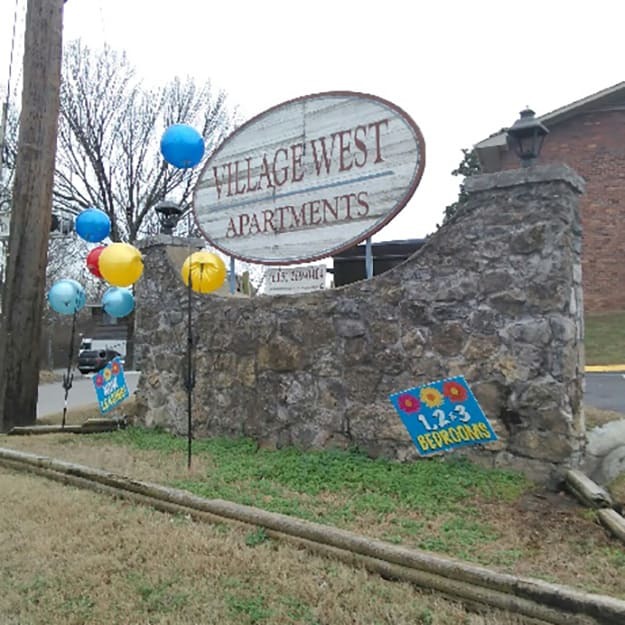 Contact Village West Apartments for more information about current availability of our 1, 2 & 3 bedroom apartments.